In that small room three years ago, our team drafted a mission which has stood the test of time perhaps surprisingly well. Even though we have changed our products and strategies to meet the ever changing demands of the market, we have never lost sight of our mission and it has stayed relevant. In everything we do, we remain committed to providing the best value to our customers and to our belief in Local Search as the fastest growing segment of the Internet and enormous (and largely still untapped) potential. 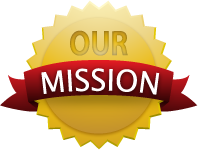 Our Mission Statement is taped to every door, is pinned up in many cubicles and can’t be escaped even in the break room. It’s a simple idea, it’s not terribly snappy, but it is reasonably easy to understand and it’s turned out to be a very useful, indeed powerful tool to keep us focused on why we show up to work every day….to bring value to our customers by driving leads to them through Local Search.